New Class Session Registering Now! 8:30 a.m. to 6:00 p.m. each day. Healing Touch is an energy therapy in which practitioners consciously use their hands in a heart-centered and intentional way to enhance, support and facilitate physical, emotional, mental and spiritual health and self-healing. Healing Touch is a biofield (magnetic field around the body) therapy that is an energy-based approach to health and healing. Healing Touch uses the gift of touch to influence the human energy system, specifically the energy field that surrounds the body, and the energy centers that control the flow from the energy field to the physical body. 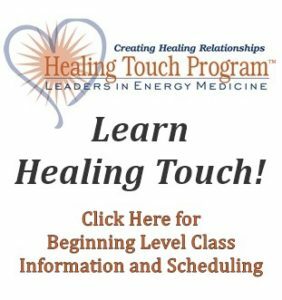 These non-invasive techniques employ the hands to clear, energize, and balance the human and environmental energy fields, thus affecting physical, mental, emotional and spiritual health. 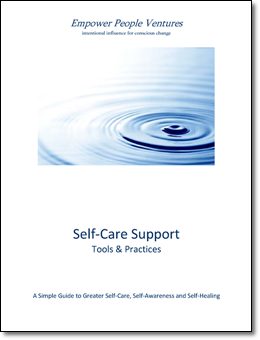 It is based on a heart-centered, caring relationship in which the practitioner and client come together energetically to facilitate the client’s health and healing. The goal of Healing Touch is to restore balance and harmonies in the energy system, placing the client in a position to self heal. All healing is basically self-healing. A physician can set two bone fragments in place, but the body itself finally heals the split; the physician simply directs and facilitates the process. Healing Touch is a different and often complementary mode of facilitating the healing process, but functions from an energy perspective rather than only a physical one. The Healing Touch Practitioner re-aligns the energy flow, eliminates blockages by re-activating the mind/body/spirit connection promoting self-healing. Once these imbalances and disturbances are cleared, the energy channels resume their task of integrating the body, mind and spirit to restore health and promote healing. It may also help to prevent future issues by restoring balance to energy field disturbances, which could later result in illness if left unbalanced.